Degrees from Cambridge and Cornell. Nationwide. California, Florida, Chicago, Illinois, New York, Ohio, Pennsylvania, Texas, Washington D.C.
Dr. Hayter provides expertise nationwide in statistical analysis, probability, regression, surveys, audit, fraud, false claims act, qui tam, data analysis and collection, medicaid audit, medicare audit, RAT-STATS, statistical consulting, bias, statistics litigation support, risk analysis, extrapolation, sampling. Dr. Hayter is a statistician expert witness and statistical consultant who holds degrees from Cambridge University and Cornell University, and he is a Fulbright Scholar. Dr. Hayter has extensive nationwide experience with statistics litigation support through trial testimony and depositions, and he is talented at presenting and discussing complex arguments, issues, and ideas in the legal environment. Dr. Hayter is skilled at assisting and supporting attorneys for litigation with statistical expertise. "We used Dr. Hayter in a condominium construction defect case to rebut the plaintiff's extrapolated frequency of defects and associated damages. He helped us successfully refute the sampling methodology of the plaintiff's expert. Perhaps most importantly, he was able to present his findings and expert opinions in a manner that was easy for the parties and the mediator to understand. His clear, well-stated analysis was key to helping us reach a settlement in the case." Jason Bergevin, Attorney at Law, Holmquist & Gardiner PLLC, Seattle. "We used Dr. Hayter in a federal class action lawsuit concerning public health insurance claims. Dr. Hayter was able to quickly understand a complex area of health law and apply his statistical knowledge to the data from our case. He was dedicated, responsive, and very good at synthesizing information and presenting it in an understandable way." Alice Bers, Litigation Director, Center for Medicare Advocacy, Willimantic, Connecticut. "Dr. Hayter was a very helpful resource in our litigation of age discrimination claims alleging a statistical pattern and practice of discriminating against older workers. He astutely analyzed the comparative pools at issue, noting with precision the standard deviations and the related statistical significance, if any. His expertise was a critical element in the defense of our case, accurately identifying the appropriate uses and misuses of statistical proof as to claims of age discrimination in a comprehensible fashion." Emily S. Borna, Attorney at Law, Jackson Lewis P.C., Atlanta. "Dr. Hayter provided statistical testimony in a difficult highway construction case involving a shortage of a crucial component of asphalt mix. Throughout the case, Dr. Hayter was responsive, creative, and always timely. I recommend him highly." Donald P. Boyle Jr., Attorney at Law, Taylor English Duma LLP, Atlanta. "In a class action dispute involving a large telecommunications company, one of the theories of liability involved a complex set of hundreds of commission payments made to hundreds of independent retailers over many years. Dr. Hayter provided critical statistical analysis of those payments and his work proved to be instrumental in successfully resolving the case." Matt Dirkes, Attorney at Law, Law Office of Matthew C. Dirkes, San Francisco. "Dr. Hayter assisted us in a multi-million dollar commercial construction dispute. His analysis, attention to detail, and reputation made him an invaluable member of our team – achieving a significant victory for our client." Daniel Dorfman, Attorney at Law, Harris Winick Harris LLP, Chicago. "Dr. Hayter was instrumental in assisting us achieve a successful result in a very large and very complex construction defect case which required statistically defensible extrapolation in order to support our damages claim. Dr. Hayter's advice and development of a testing protocol allowed us to efficiently and reliably gather the evidence we needed to win." Mark Intrieri, Chapman & Intrieri LLP, Alameda. "Dr. Hayter worked with our firm on a complicated dispute between a state agency and a highway contractor as to compliance with contract requirements. He developed statistical models that were of great value in analyzing samples of roadway material that were crucial in the case. His assistance was also valuable in helping us look at possible approaches to the use of the physical evidence in presenting the case. Dr. Hayter was thorough, conscientious and timely in his work with us. As important to us as his technical expertise was his ability to communicate his analysis and opinions in a clear and concise manner." Paul R. Jordan, Attorney at Law, Davis, Pickren, Seydel & Sneed, LLP, Atlanta. "Dr. Hayter assisted with our defense of a significant case against a major brand. He served as an expert consultant and witness on statistical analysis in connection with customer survey data. His assistance from the early stages of the case through the survey and expert report process was invaluable to our strategy and structure of the defense. He was very well versed in the subject matter, clear and concise, and communicated well with not only the client, but other consultants and counsel. His involvement was instrumental in obtaining a very favorable negotiated settlement." Leonard MacPhee, Attorney at Law, Gardere Wynne Sewell LLP, Denver. "Dr. Hayter efficiently and effectively demolished plaintiff's expert report that purported to use statistics to demonstrate claimed racial discrimination at our client's workplace. We were able to leverage Dr. Hayter's work to bring a successful Daubert motion in which the Court excluded plaintiff's statistical expert report in its entirety." Daniel Oberdorfer, Attorney at Law, Stinson Leonard Street LLP, Minneapolis. "It is hard to overstate Dr. Hayter’s contributions to our team in the defense of a “three-comma” first party property insurance arbitration. Early in the proceedings, I reached out to Dr. Hayter as a consultant to help understand an opposing expert’s regression analysis proffered as unconventional support of a policyholder’s calculation of the period of liability. A quick study, he soon became an important part of our overall defense, not simply in assisting the development of my cross examination of opposing experts, but also with the formulation of his independent expert opinions. Dr. Hayter then helped unravel the dubious foundation of an inflated business interruption claim. While on the stand, he explained complicated concepts and modeling in simple and easy to understand terms. But more impressively, Dr. Hayter remained unflappable under cross examination by one of America’s leading trial lawyers." Dr. Hayter is a statistics expert witness and statistical consultant who provides statistics expertise nationwide in the areas of statistical analysis, probability, statistical litigation support, regression, surveys, data analysis and collection, modeling, bias detection, reliability, risk analysis, extrapolation, sampling, RAT-STATS, quality control, econometrics, mathematics, hypothesis testing, p-values, prediction, forecasting, estimation, large datasets, statistical significance, data mining, experimental design, and time series. Dr. Hayter has worked as an statistician expert witness for businesses, law firms, insurance companies, government departments, educational institutions, and non-profits. Dr. Hayter works for both plaintiff and defense attorneys. Dr. Hayter has been admitted as an expert witness in the areas of statistics and mathematics in the United States. With excellent quantitative, technical and communication skills, Dr. Hayter provides balanced, objective, and impartial analyses with expert reports and trial testimony. Dr. Hayter holds the rank of Full Professor at the University of Denver, and he is a former Department Chair. Dr. Hayter currently has over 90 refereed publications. Dr. Hayter is the author of a textbook on Probability and Statistics, now in its 4th edition, adopted worldwide. Dr. Hayter has over 25 years of university teaching, with top level student evaluations. Dr. Hayter has excellent quantitative, technical, and communication skills. As an expert witness Dr. Hayter has worked on a wide range of topics including construction defects, workplace risk analyses, racial profiling, jail conditions, insurance claims, employee discrimination cases, accounting audits, environmental regulations, customer profiling, business performances and losses, product surveys, quality management, trademark surveys, likelihood of confusion, online marketing, design and analysis of pollution studies, national security studies, workforce analyses, highway construction, damages from employee fraud, tax assessments, real estate appraisals, pricing analyses, market research, traffic accident rates, trademarks, analysis of brand damages, business evaluations, financial analyses, performance assessment, stable isotope analysis, land appraisal, audits, Medicare/Medicaid, healthcare costs, employee evaluations, auto insurance and analysis of brand damages. As a statistics expert witness and statistical consultant Dr. Hayter has extensive nationwide experience with statistics litigation support through trial testimony and depositions, and he is talented at presenting and discussing complex arguments, issues, and ideas in the legal environment. Dr. Hayter is skilled at assisting and supporting attorneys for litigation with statistical expertise. As an expert witness Dr. Hayter has worked on a wide range of topics including construction defects, workplace risk analyses, racial profiling, jail conditions, insurance claims, employee discrimination cases, accounting audits, RAT-STATS, environmental regulations, customer profiling, business performances and losses, product surveys, quality management, online marketing, trademark surveys, likelihood of confusion, design and analysis of pollution studies, national security studies, workforce analyses, highway construction, damages from employee fraud, tax assessments, real estate appraisals, pricing analyses, market research, traffic accident rates, trademarks, analysis of brand damages, business evaluations, financial analyses, performance assessment, stable isotope analysis, land appraisal, audits, Medicare/Medicaid, healthcare costs, employee evaluations, auto insurance and analysis of brand damages. 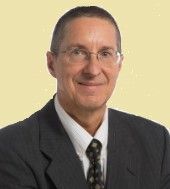 Dr. Hayter has worked as a statistician expert witness for businesses, law firms, insurance companies, government departments, educational institutions, and non-profits. Extrapolation, Regression, Statistics Litigation Support, Statistics Consultant, Probability, Regression, Surveys, Data Analysis and Collection, Modeling, Bias Detection, Reliability, Risk Analysis, Quality Control, Econometrics, RAT-STATS, Mathematics, Hypothesis Testing, P-values, Prediction, Forecasting, Estimation, Large Datasets, Statistical Significance, Data Mining, Experimental Design, Business Intelligence, Trademark surveys, Likelihood of confusion, Databases, Risk Analysis, Survey Research, Statistician, Sample, Databases, Survey Research, Sample, and Time Series. Dr. Hayter holds degrees from Cambridge University and Cornell University, and he is a Fulbright Scholar. Dr. Hayter has extensive nationwide experience with trial testimony and depositions, and he is talented at presenting and discussing complex arguments, issues, and ideas in the legal environment. Dr. Hayter is skilled at assisting and supporting attorneys for litigation with statistical expertise. Dr. Hayter provides expertise nationwide in the areas of statistical analysis, probability, regression, surveys, data analysis and collection, modeling, bias detection, reliability, risk analysis, extrapolation, sampling, quality control, econometrics, mathematics, hypothesis testing, p-values, prediction, RAT-STATS, forecasting, estimation, large datasets, statistical significance, data mining, experimental design, and time series. As an expert witness Dr. Hayter has worked on a wide range of topics including construction defects, workplace risk analyses, racial profiling, jail conditions, insurance claims, employee discrimination cases, accounting audits, environmental regulations, customer profiling, business performances and losses, product surveys, quality management, online marketing, design and analysis of pollution studies, national security studies, workforce analyses, highway construction, damages from employee fraud, tax assessments, real estate appraisals, pricing analyses, market research, traffic accident rates, trademarks, analysis of brand damages, business evaluations, financial analyses, performance assessment, stable isotope analysis, land appraisal, audits, Medicare/Medicaid, healthcare costs, employee evaluations, auto insurance and analysis of brand damages. Nationwide Statistics Expert Witness. I have worked as a statistician expert witness and statistical consultant throughout the country. Full Professor, Department of Business Information and Analytics, Daniels College of Business, University of Denver, 2010-present. Department Chair and Full Professor, Department of Statistics and Operations Technology, Daniels College of Business, University of Denver, 2006-2010. Associate Professor, School of Industrial and Systems Engineering, Georgia Institute of Technology, 1991-2006. Visiting Assistant Professor, Department of Statistics, Ohio State University, 1991. Lecturer, Department of Mathematical Sciences, University of Bath, United Kingdom, 1987-1990. Center for the Study of Finance and Insurance, Osaka University, Japan. Graduate School of Business Sciences, University of Tsukuba, Japan. Nagoya University of Commerce and Business, Japan. Department of Statistics, Chinese University of Hong Kong. Department of Economics, Singapore Management University. Institute of Statistical Mathematics, Tokyo, Japan. University of Southampton and London School of Economics, United Kingdom. National Institute for Agro-Environmental Sciences, Tsukuba, Japan. Dr. Hayter works as a statistics expert witness for both plaintiff and defense attorneys. Dr. Hayter has been admitted as an expert witness in the areas of statistics and mathematics in the United States. With excellent quantitative, technical and communication skills, Dr. Hayter provides balanced, objective, and impartial analyses with expert reports and trial testimony. Member of the American Statistical Association, 1991-present. Degrees from Cambridge University and Cornell University. Rank of Full Professor (former Department Chair). Author of a textbook on Probability and Statistics, now in the 4th edition, adopted worldwide. Over 25 years of university teaching, with top level student evaluations. Excellent quantitative, technical, and communication skills. Panelist at Symposium on Business Information and Business Analytics for Logistics Professionals, Council of Supply Chain Management Professionals, Bangkok, Thailand, 2011. Panelist on “How to Attain Quality Excellence by Statistical and Related Methodologies,” 7th Asian Network for Quality Congress, Tokyo, Japan, 2009. Panelist at Corporate Counsel Conference on Employment Litigation Issues, Las Vegas, 2007. Visiting Professor, Center for the Study of Finance and Insurance, Osaka University, Japan, 2015-2016. Delivered courses on Data Science and Case Studies. Fulbright Specialist Grant, 2014. To assist Chulalongkorn University in Thailand with curriculum development, student mentoring, and research projects. Visiting Professor, Chulalongkorn University, Thailand, 2012-2015. Session Chair and Organizer, International Symposium on Business and Industrial Statistics, Thailand, 2012. Fulbright Foreign Scholarship Award, 2011-2012. To assist government and businesses with surveys and data analysis in Thailand. Hosted by the School of Business, Chulalongkorn University. Visiting Professor, Graduate School of Business Sciences, University of Tsukuba, Japan, 2008-2016. Delivered courses on Business Analytics in the Global Arena to International MBA students. External Examiner for the MBA program, Universiti Tunku Abdul Rahman, Malaysia, 2011-present. Visiting Professor, Nagoya University of Commerce and Business, Japan, 2010-2012. Delivered MBA course on Quality Control. Visiting Researcher, Chinese University of Hong Kong, Department of Statistics, 2011- 2016. Visiting Researcher, Singapore Management University, Department of Economics, 2011.
International Planning Committee Member, Kent State International Symposium on Green and Sustainable Supply Chains, 2011. Visiting Researcher, Institute of Statistical Mathematics, Tokyo, Japan, 1996, 1999-2000, 2008 and 2010. Supported by grants from the Japanese Ministry of Education. Goodwill Ambassador, City of Okayama, Japan, 2009-present. Accompanied EMBA students on a study trip to Dubai, 2009. Program Committee Member of the First Indian Institute of Management Ahmedabad International Conference on Advanced Data Analysis, Business Analytics, and Intelligence, India, 2009. Organizing Committee Chair for the First International Symposium of Case Studies Involving Statistics and Operation Research for Decision Making: Solving Human Problems in Business, Society and Scientific Areas, Tokyo, Japan, 2009. Invited Session Organizer, 4th World Conference of the International Association for Statistical Computing, Yokohama, 2008. Organizing Committee Member for the 5th International Multiple Comparisons Conference, Vienna, Austria, 2007. Visiting Researcher, University of Southampton and London School of Economics, UK, 2004. Supported by a grant from the British Engineering and Physical Sciences Research Council. Visiting Researcher, National Institute for Agro-Environmental Sciences, Tsukuba, Japan, 1998. Supported by a grant from the Japanese Ministry of Education. Quantitative skills, business intelligence and analytics, statistics, probability, data analysis, survey sampling, quality control, experimental design, management science, operations management. 4th edition, Korean version, Brooks-Cole, 2014. Currently over 90 refereed academic publications. "He helped us successfully refute the sampling methodology of the plaintiff's expert." B.A., 1982, Cambridge University, Mathematics (triple first class).